Chinburg Properties announce 3 new subdivisions with homes available for sale in spring 2013. Lorden Commons is in Londonderry, NH, Greenland Common is in Greenland, NH and Village Place is in Barrington, NH. Road construction is underway and open houses begin in April. Please contact our real estate partner, The Gove Group Real Estate, to look at available plans and schedule a tour. 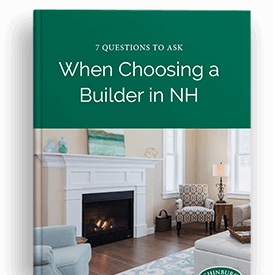 You're only 7 questions away from choosing the right builder for your home.